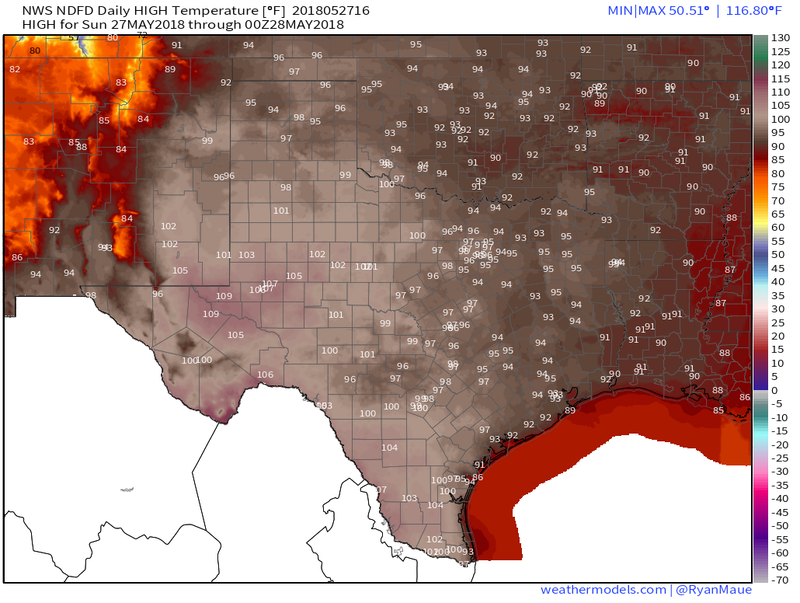 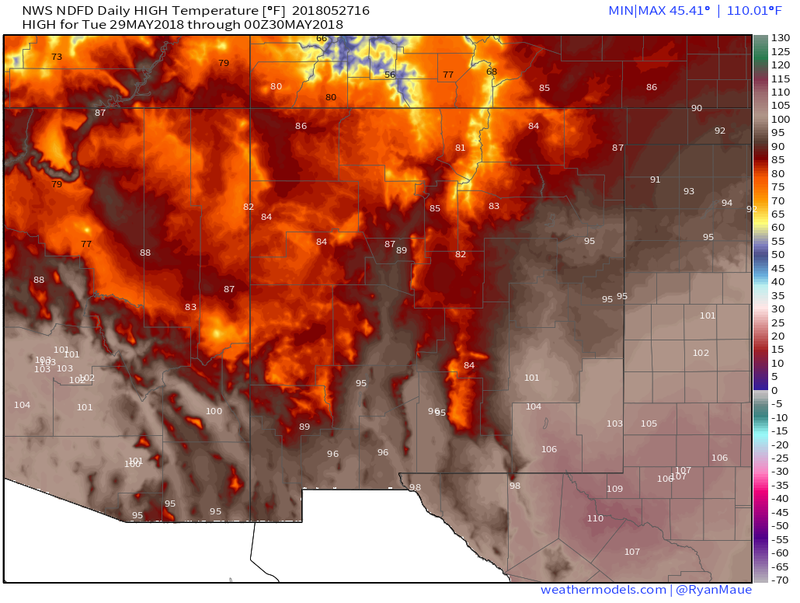 Near Record To Record Heat To Continue UFN! 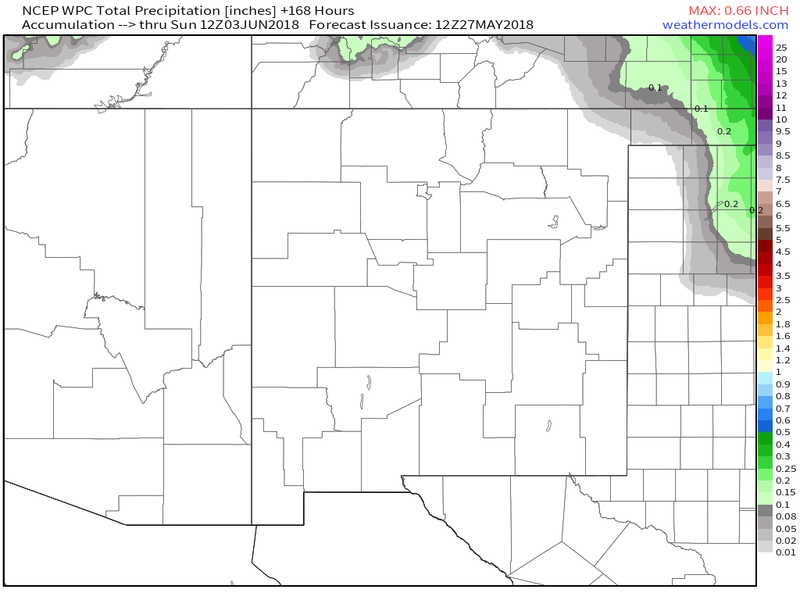 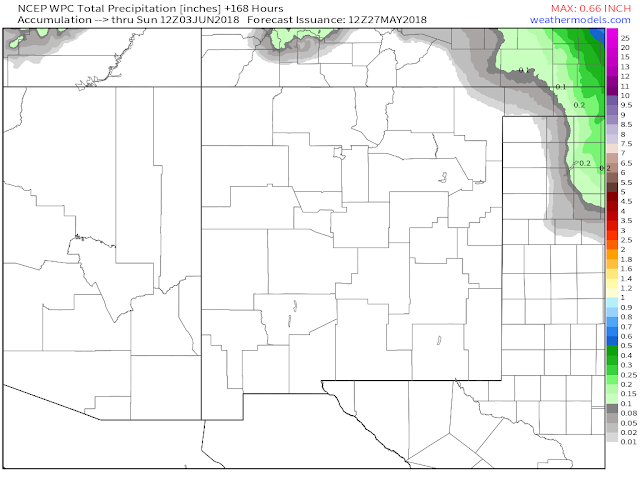 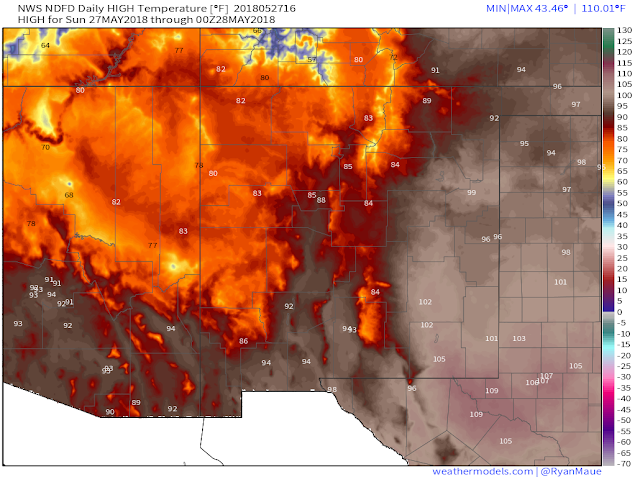 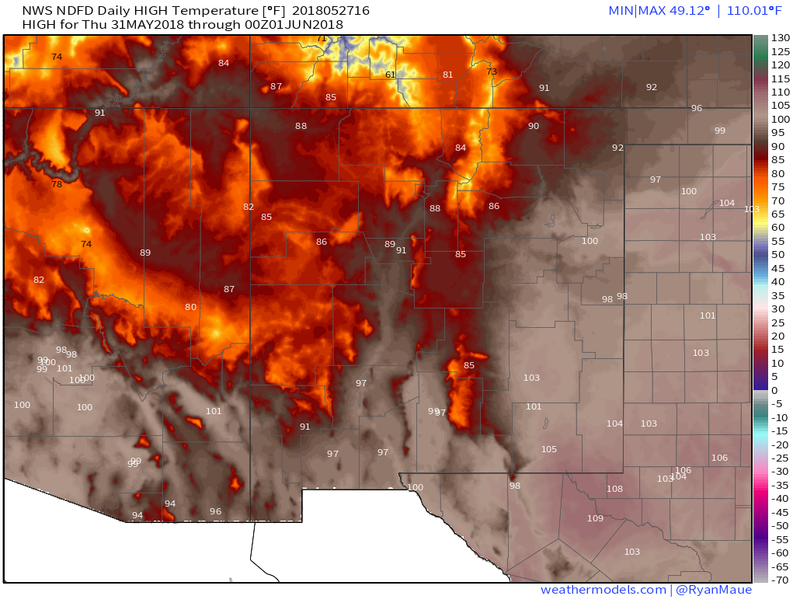 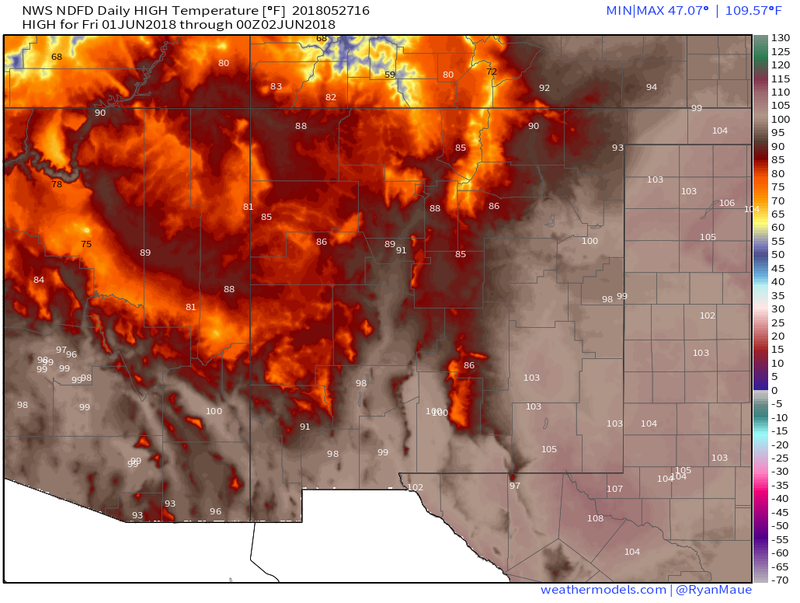 Blog Updated At 1:38 PM MDT Sunday, May 27, 2018. 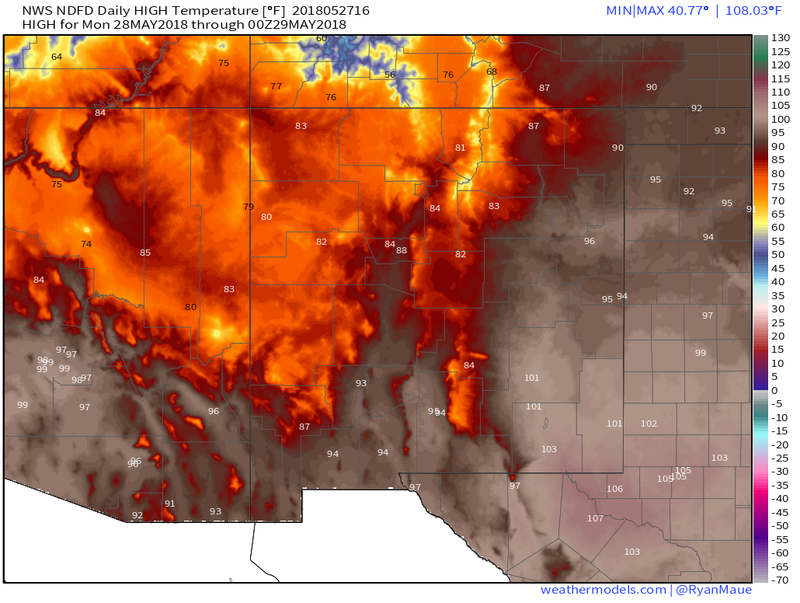 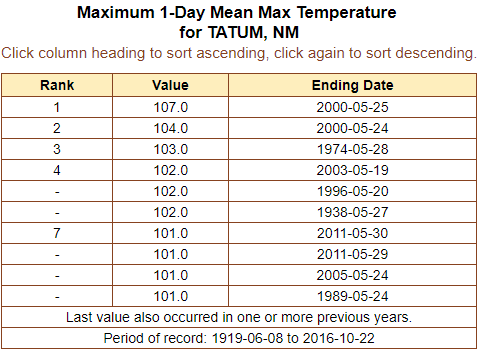 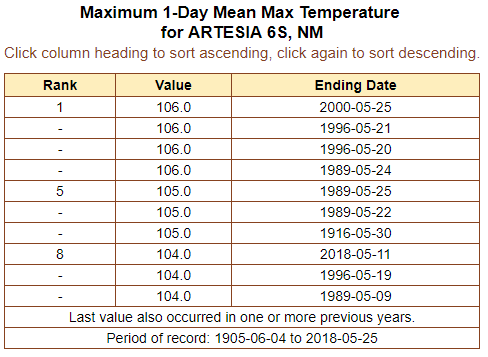 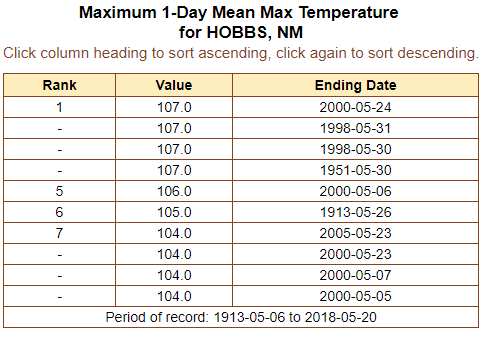 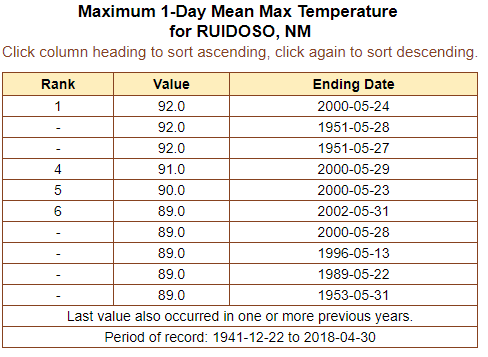 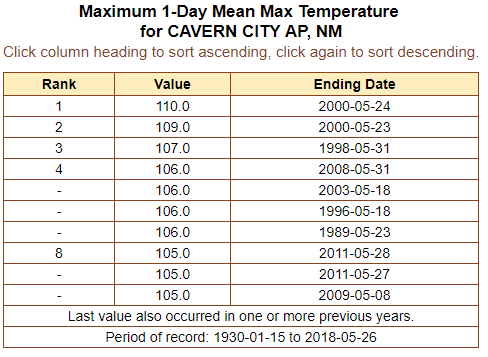 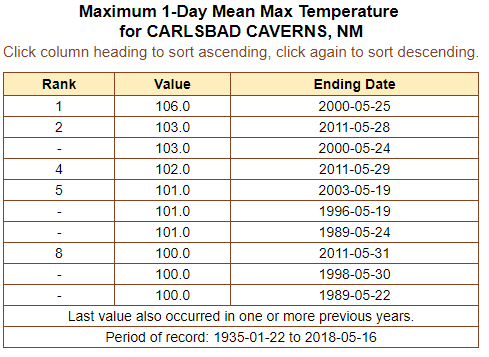 Near Record To Record High Temps To Continue UFN. 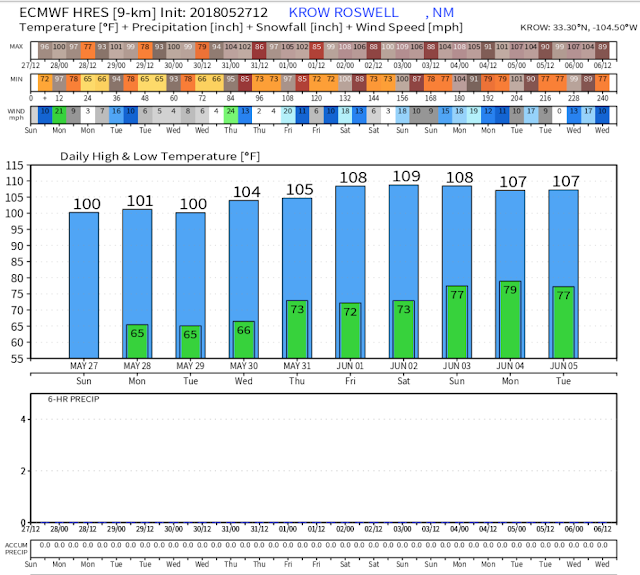 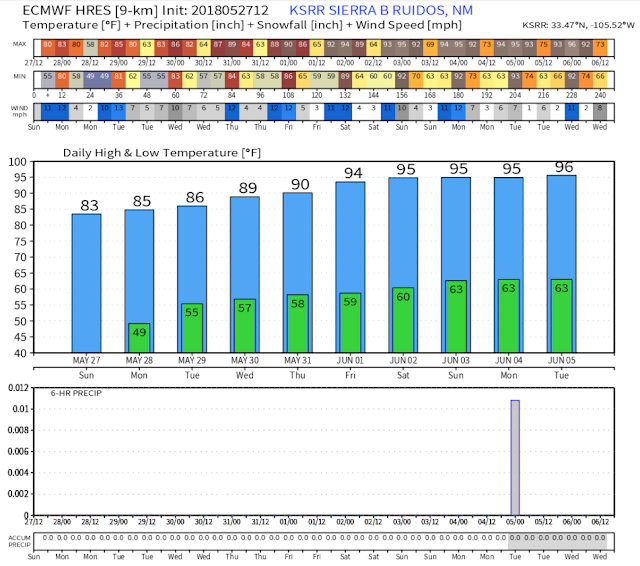 NWS NDFD Forecast High Temperatures The Next 7-Days. 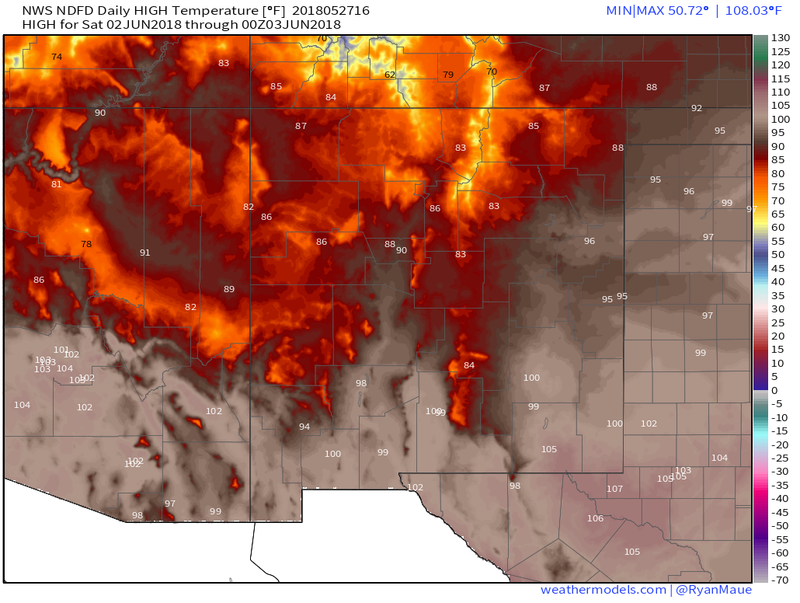 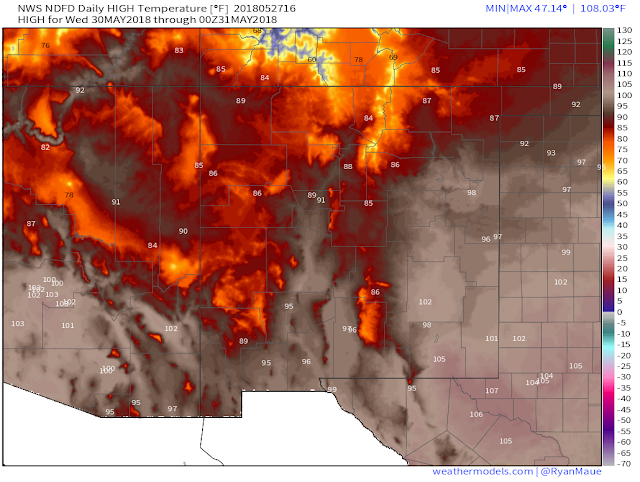 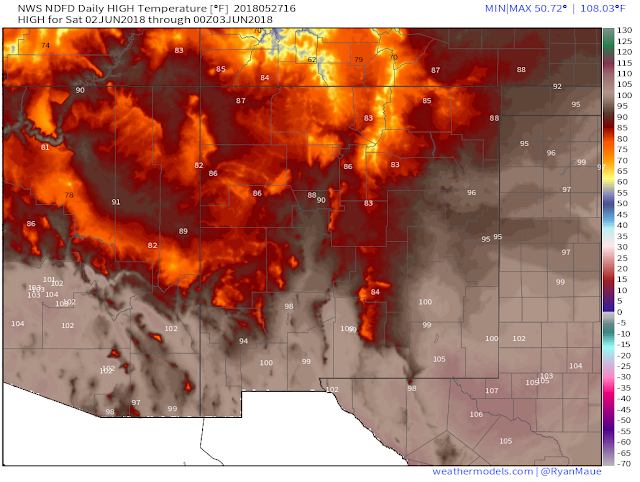 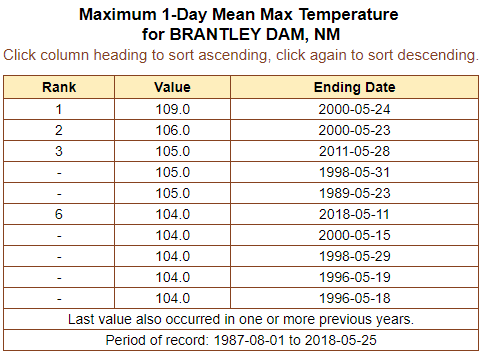 (As Of 10 AM MDT Sunday, May 27, 2018). 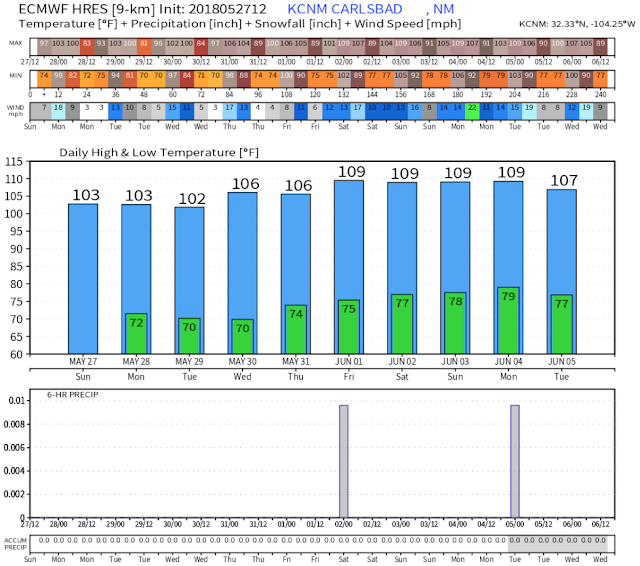 European (ECMWF) 10-Day High Temp Forecast. 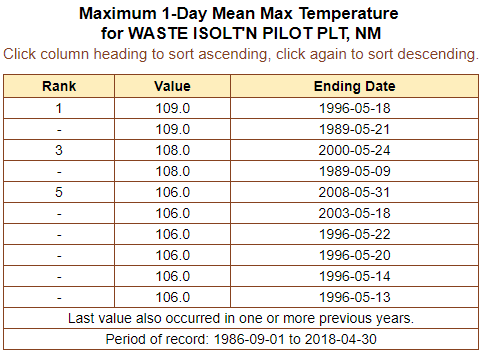 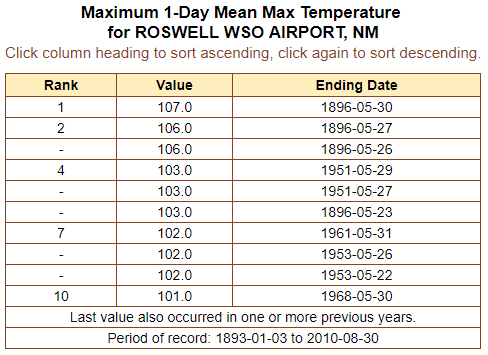 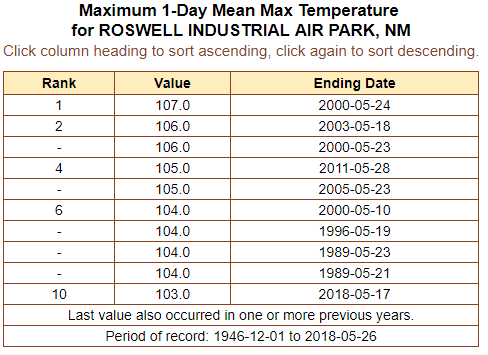 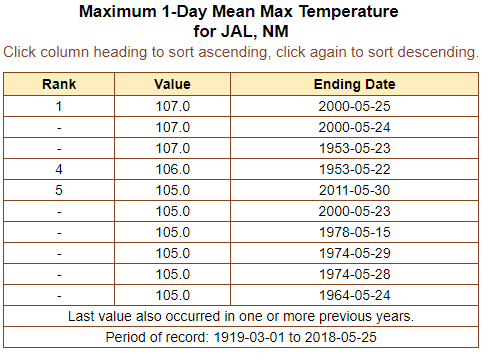 Top 10 Hottest May Temperatures. 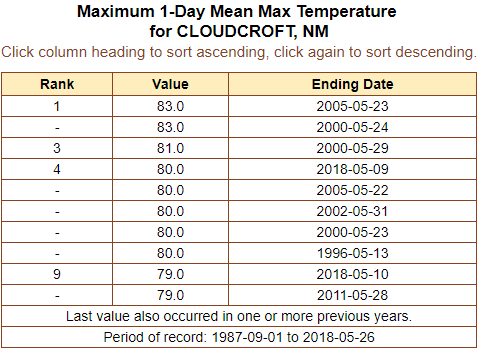 Note: Cloudcroft High Temps Prior To 1987. 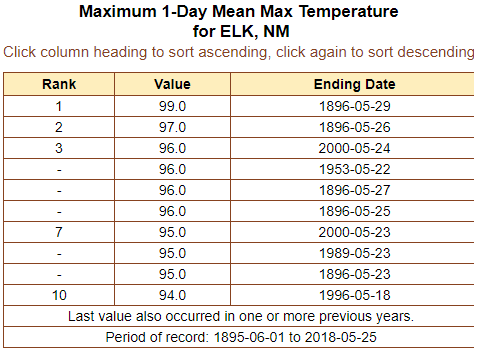 Elk - East Of Mayhill. 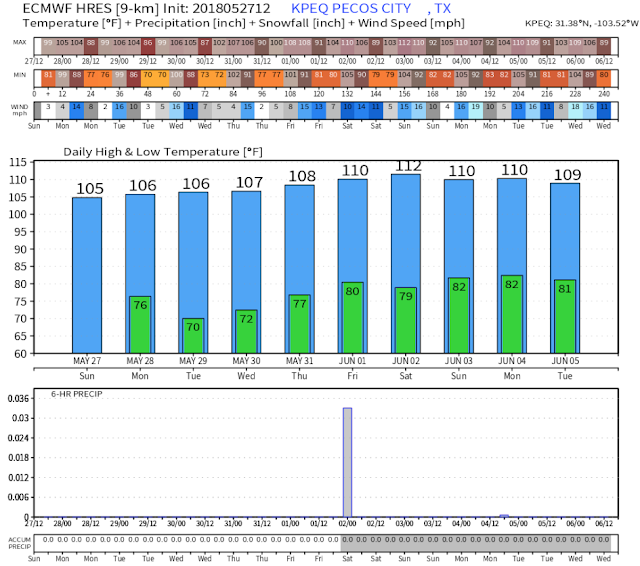 Don't be fooled by the old saying of "Its Just A Dry Heat." Anytime you have days and days of the type of heat we are expecting it takes its toll. 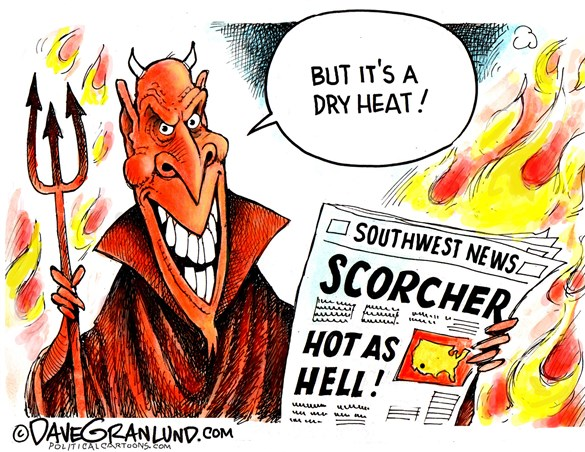 This is especially true on the elderly, the young, and our pets. 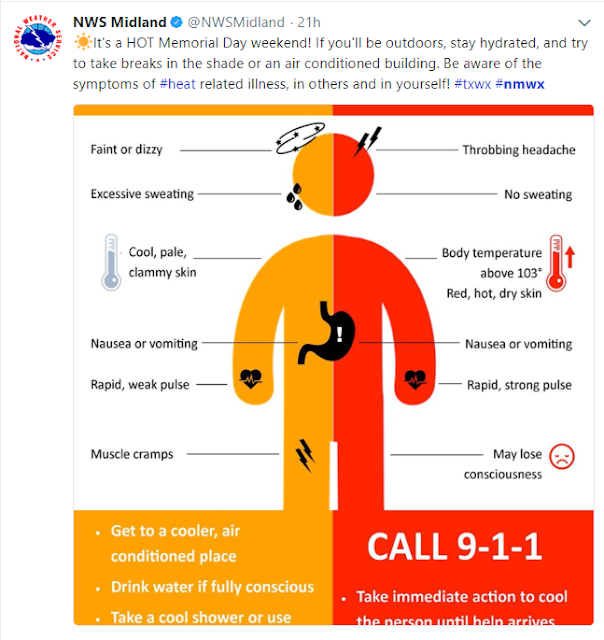 Heat Stress and Heat Stroke are killers so take the precautionary methods mentioned above to prevent this. 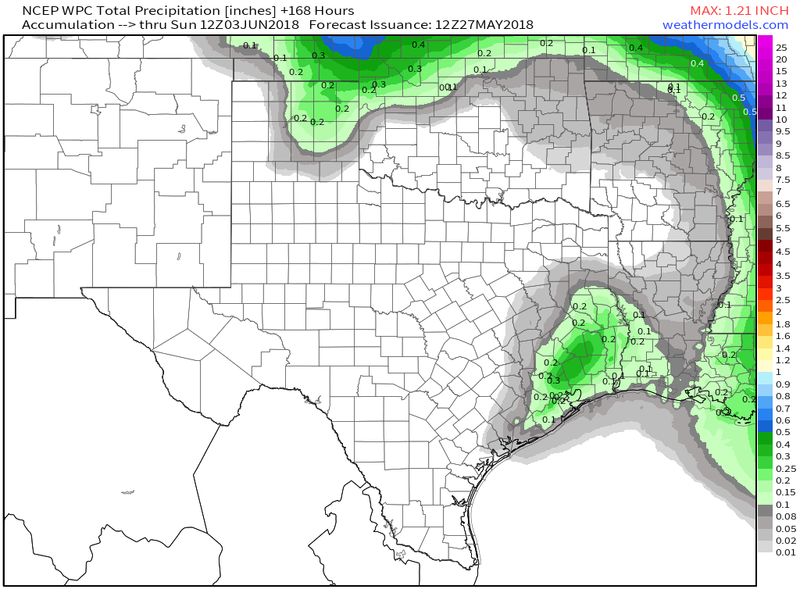 We are also back to the pattern of "Rain What's That".